Well we are SO SO SO Super excited to be here today because it’s time to announce our Christmas Event here on A Blog Named Hero! Because they were so nice, when they all wrote to Santa and asked for a few of their most fervently-wished-for items from their favourite crafty companies, HE DELIVERED!! YEP! The jolly fellow with the belly-like jelly has already visited our lucky team and he has left them a whoooole pile of LOOT!! In order to share the holiday goodness and inspire YOU to make some fantastic holiday projects, they have to make four projects using those products that “Santa” left them!. For the four weeks in November, Monday-Friday , we’ll be presenting a new theme. Something for everyone!! We think the Christmas Quickies are going to be a LIFESAVER!! So be sure to stop by here on Monday November 4 and every weekday after that throughout November, to be inspired by our amazingly lucky team! We have some incredibly talented Guest Designers joining us EVERY DAY too!! I’d name them all, but there are JUST TOO MANY!!! If you haven’t already, subscribe via email or whichever reader service you’re using, to make sure you dont miss out on any of the amazing inspiration we’re going to be delivering each and every week day in November!!! And before we leave you for today, we’d like to say a big, huge, extra squishy hug-filled THANK YOU to our ridiculously generous “Santas”, Hero Arts (of course! ), Kelly Purkey, Simon Says Stamp, American Crafts, Avery Elle, Lawn Fawn, CAS-ual Fridays, and Neat and Tangled. We’ll see you back here on Monday November 4!! 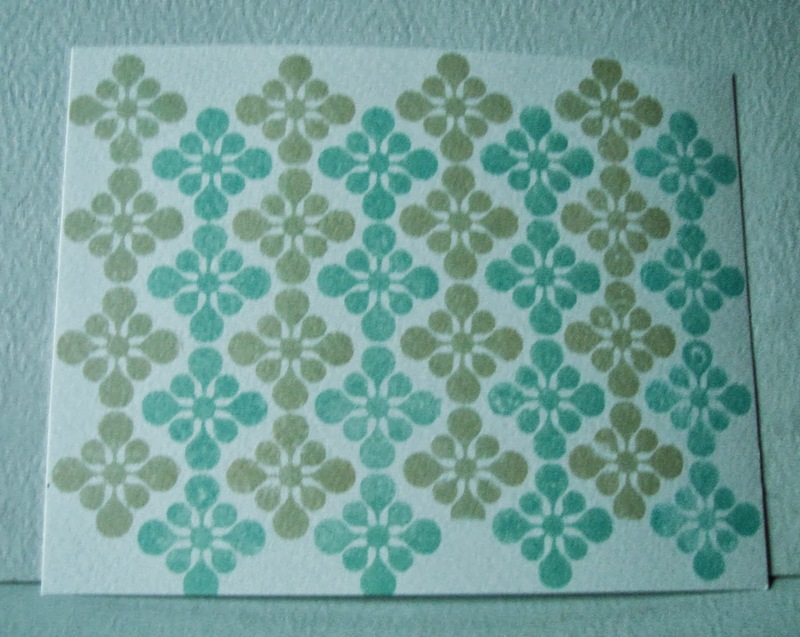 since our last (current) challenge, I just can`t make a card without the matching envelope. I just love decorating them! First I made the card and I decided to decorate the inside, too. Usually I would pick the same design, but I decided to try the colors this time… And it is really nice, a little bit surprising indeed! Then I picked a simple office envelope and I used the same kind of rectangle (for the adress) and I stamped some stars and made few white splotches to embelish it a little more. Thanks for joining me today! There are two more days to play with our Embell-ope challenge and I hope you will join us. Our generous sponsor Simon Says Stamp is giving a $25 gift certificate to one lucky winner! Paste is everywhere these days, right? 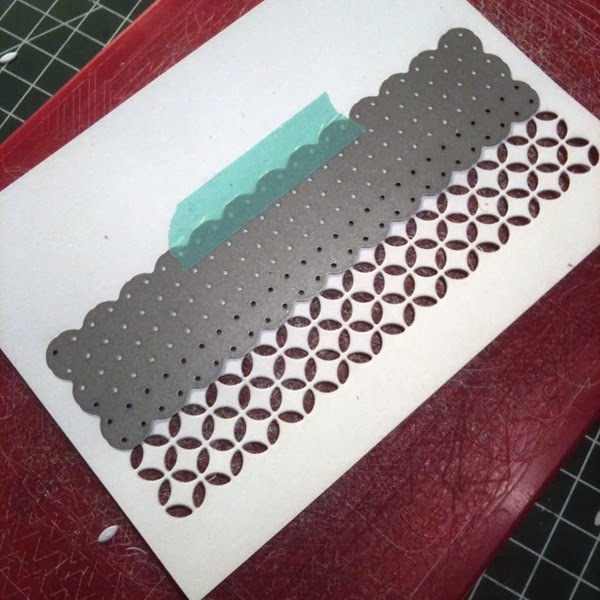 Using it with stencils to create gorgeous backgrounds is trendy – and fun! 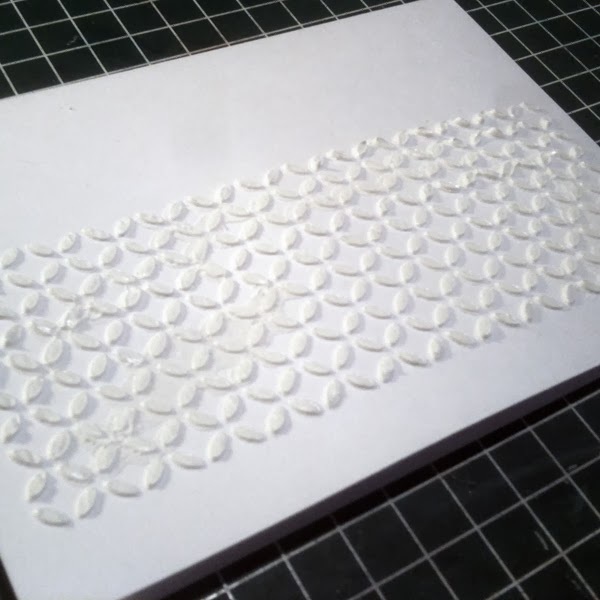 Well, I don’t have too many stencils by now, so I like to use my dies to create my own “stencils”. 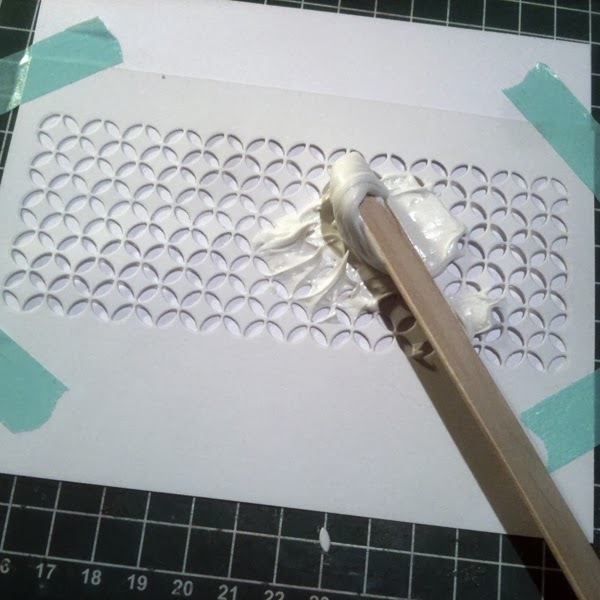 I tried to die cut different acetate sheets, but my die-cutting system (called “double do” – I think it’s a German thing) won’t work with acetate. 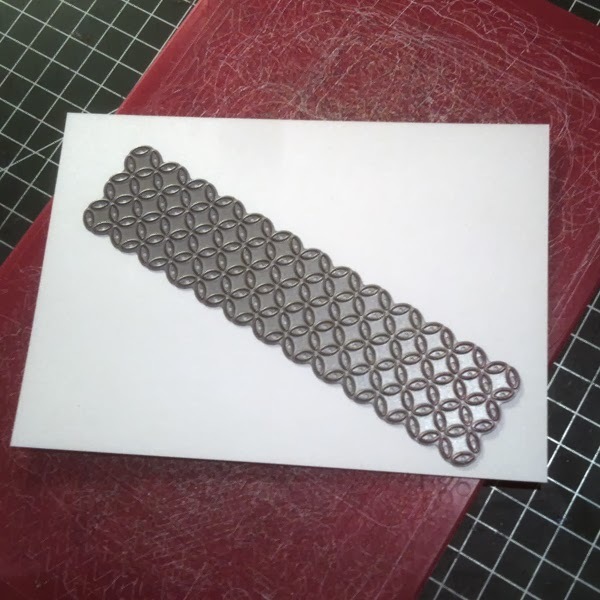 So I use ultrathick cardstock – this works quite fine. 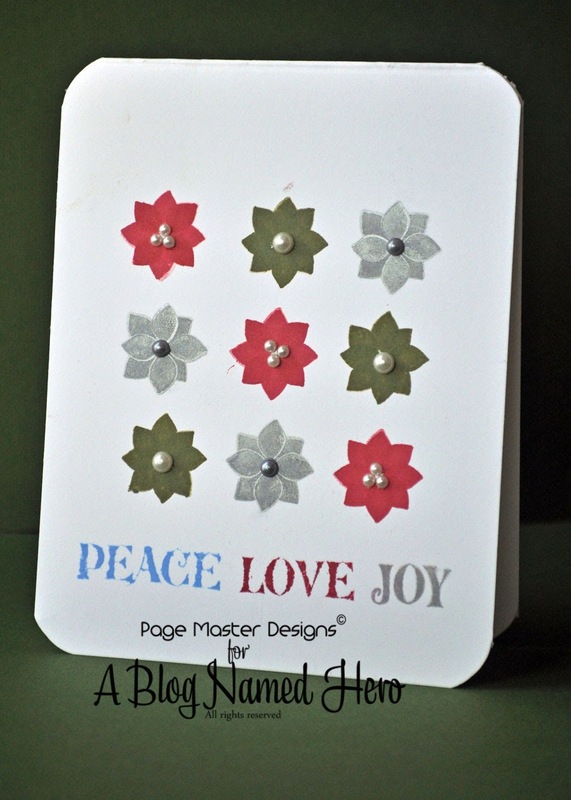 2) I lined up my Memory Box Piestra Tile die twice to create my stencil. 3) That’s what my stencil looks like. 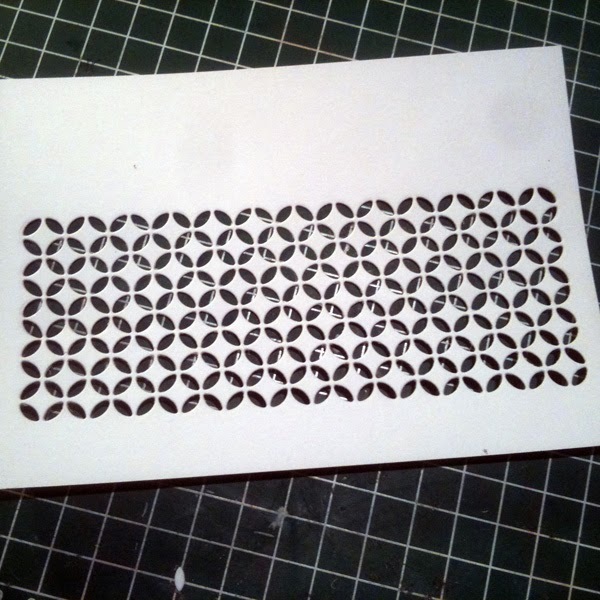 4) I tape down my stencil on top of my cardbase and carefully spread the modeling paste all over the stencil. Ready is your background! Yay – that was easy! Hey everyone it’s Michelle here today and while playing with the CAS-Friday stamp set Christmas Carols I wanted to see how many different cards I could get out of it. Here are my 3 favorite. This next card I kicked things up a notch. 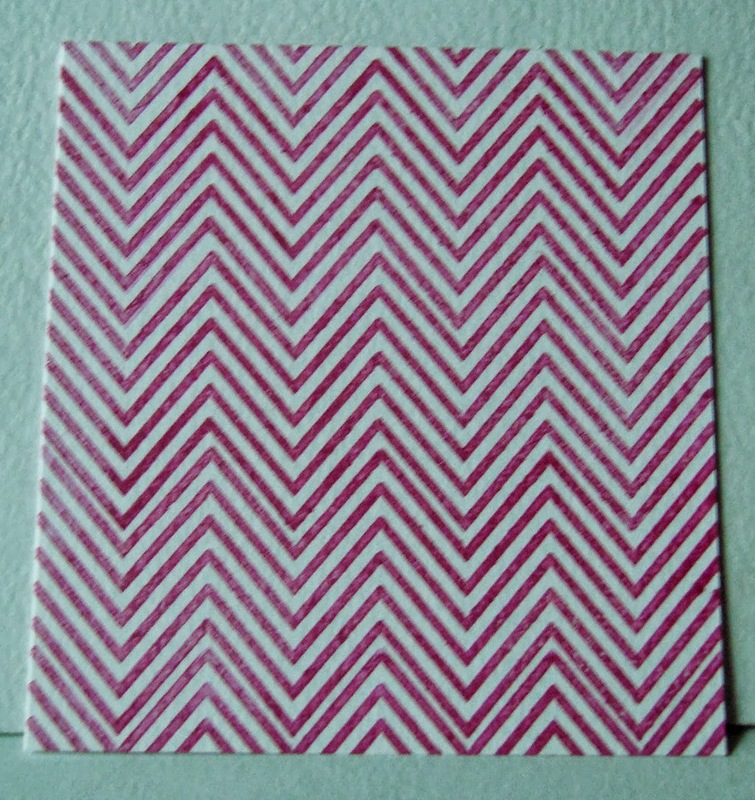 I cut a rectangle out of the front of the card. 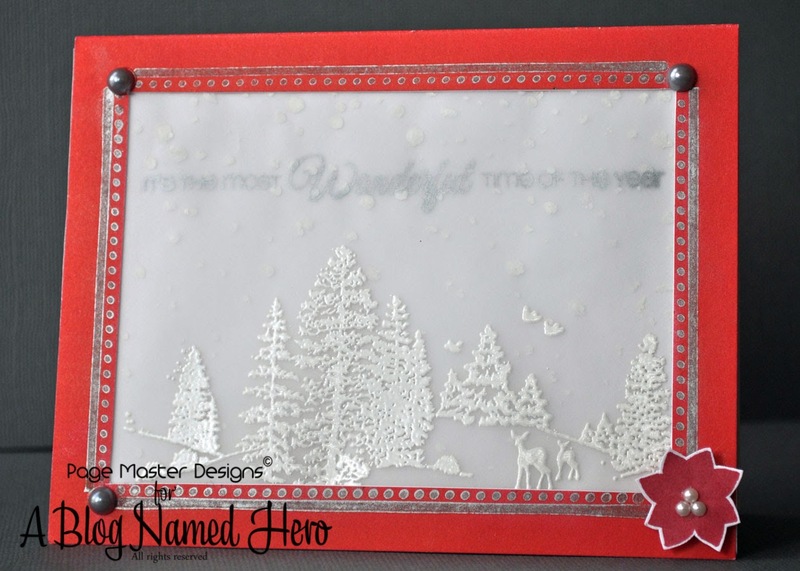 I used the Falling Snow Stencil from Simon Says Stamp to do the background of the vellum, I then heat emboss the Winter Scene. I used the border stamp from Christmas Carols in Silver to highlight the frame of the vellum and then double stamped another flower but cut it out this time. 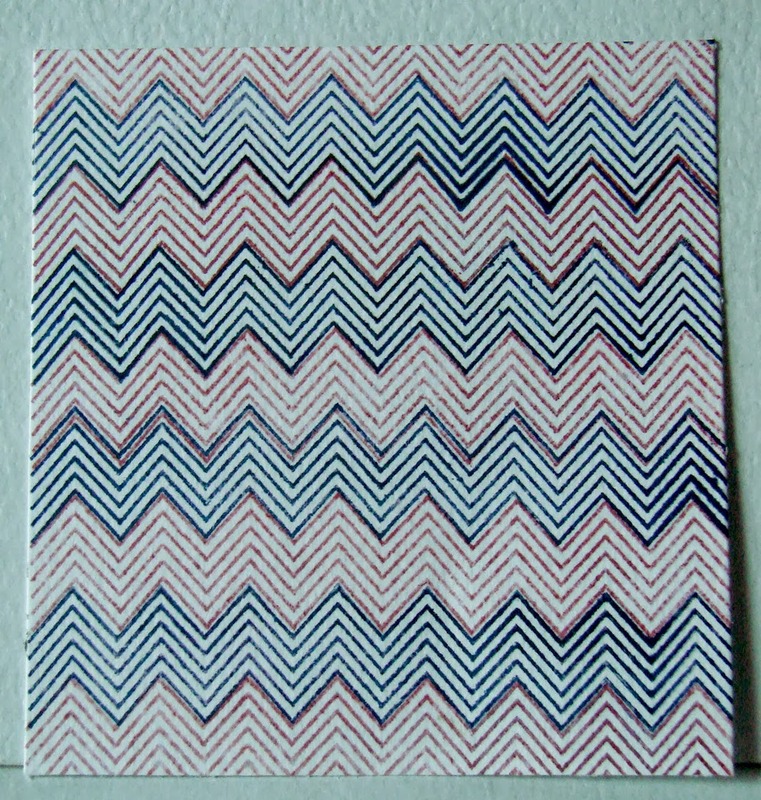 For my last card I mixed in some pattern papers. Kept the flowers in their original form and die cut some tags with my Silhouette. 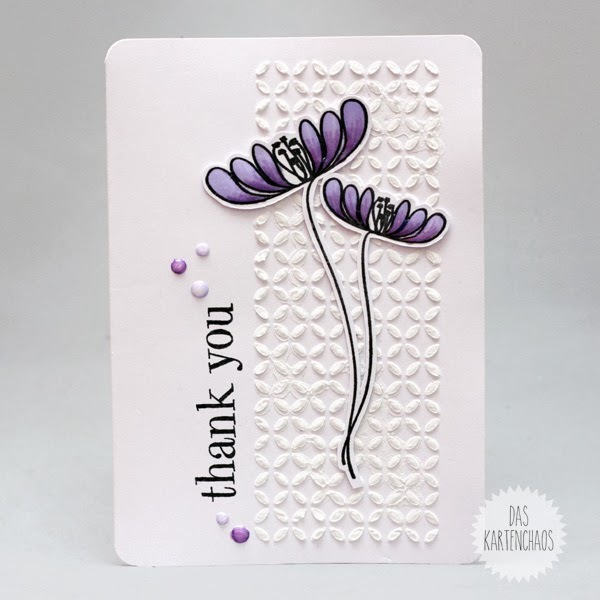 I love how the flowers line the edge of the card. That’s all from me today. Do you like to try to get the most out of your stamps? I would love to see.